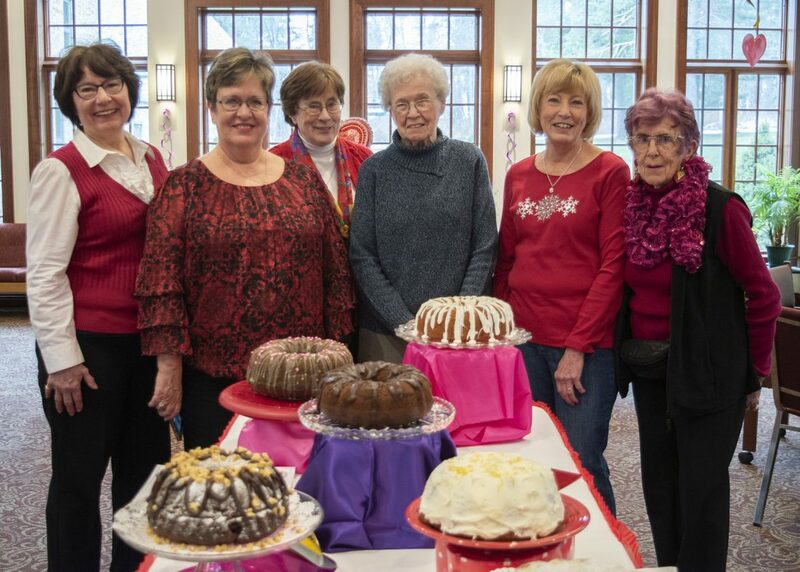 St. Columban’s on the Lake Retirement Home in Silver Creek recently held its annual Great Bundt Cake Bakeoff. Each year, residents and staff compete to see who can make the most delicious and creative baked treat, and because many of the residents have decades of baking experience, competition is always tough. While there were winning bakers, the residents were the real winners as they enjoyed the entries after judging was complete. First place went to Shelly Yorke, Administrative Assistant; second place went to residents David Raynor, Dan Somerfeldt and Jean Lembke; and third place went to Amanda Brown, Director of Resident Life and John Stonefoot, Maintenance. Pictured: volunteer judges for the Great Bundt Cake Bakeoff included (from left to right) Christine Kausch, Terry Tanski, St. Columban’s on the Lake Administrator Sr Corona Colleary, Dorothy Selan, Sue Young and Joyce Herold.